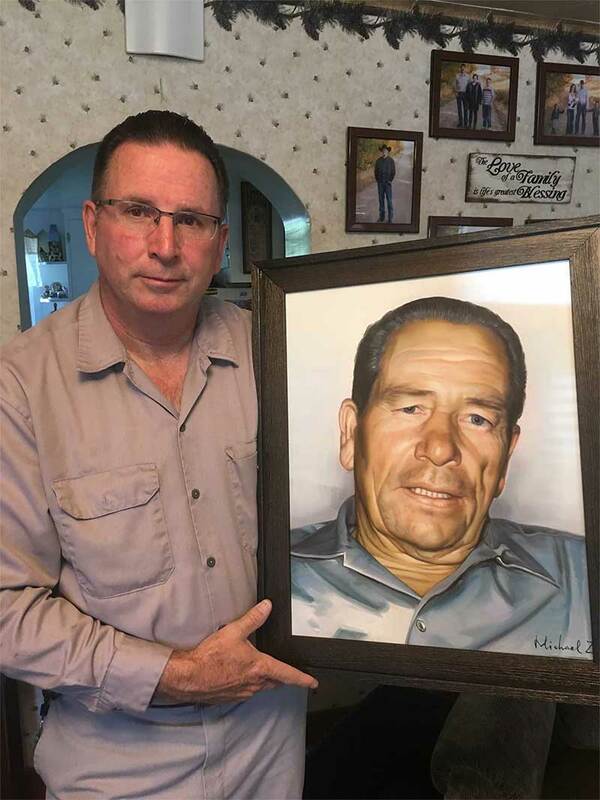 "This is a photo of myself and the portrait of my grandfather painted by an artist from "Paint Your Life". 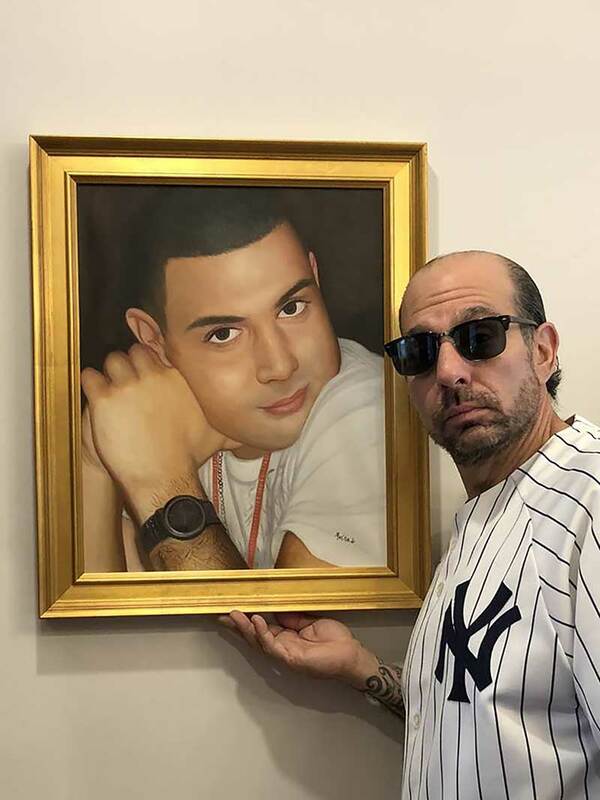 It w..."
"This is a photo of myself and the portrait of my grandfather painted by an artist from "Paint Your Life". It was painted from a snapshot taken in 1972. The likeness and quality is exceptional! I have used similar online services but the quality was lacking. The ability to look at the work of your artist than choose the artist to paint your portrait is a wonderful feature. Probably the number one reason I chose "Paint Your Life". This is also the first time that I have had a portrait framed instead of shipped rolled in a tube. The affordable price and free shipping along with the great quality from your artist are great incentives to choose "Paint Your Life". 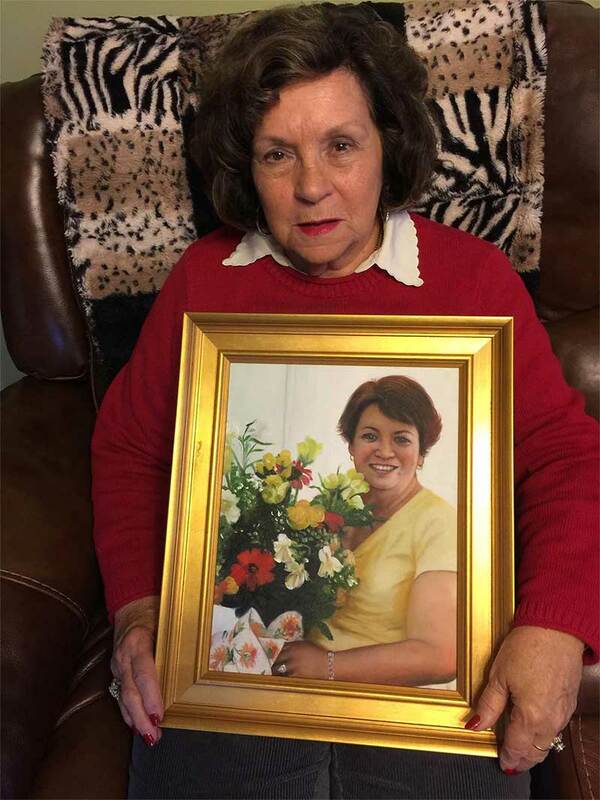 Needless to say I`m very pleased with my portrait and I would definitely use your service again and recommend you to family and friends." "My husband gave me a painting of my father and I dancing at our wedding. 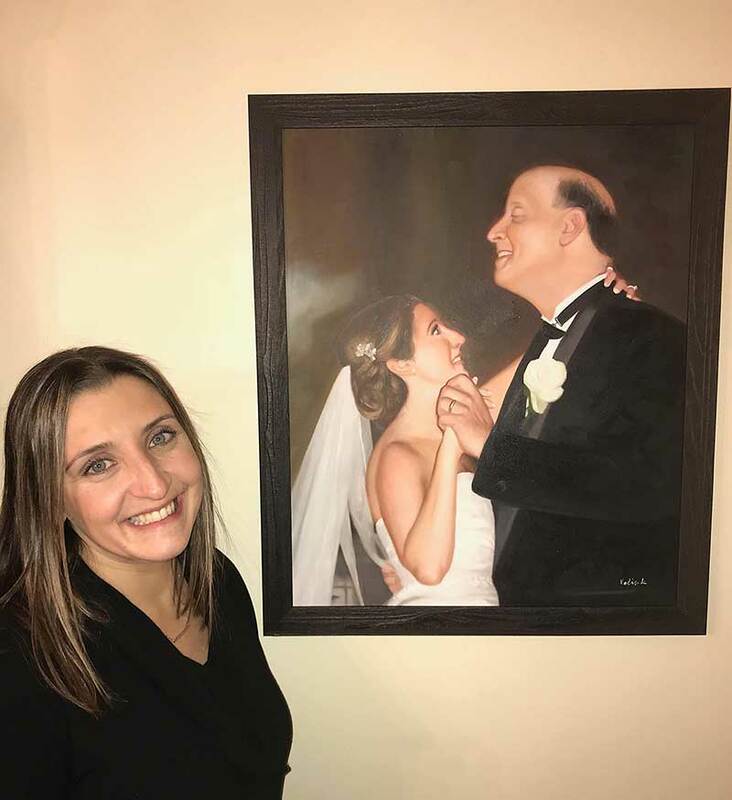 My dad passed away last year and this..."
"My husband gave me a painting of my father and I dancing at our wedding. My dad passed away last year and this picture captured his pride and happiness that day, while also capturing his spirit and my awe of him. I stare at this picture and just cry because it's like he can jump off the painting. That's how real it feels. I just wanted to thank whoever did this for giving me a gift that will Always keep on giving. Thank you for this Unbelievable gift." "I had this photo prepared of my son michael cino who passed away on September 25, 2017. I placed the photo in ..."